The beautiful, picturesque bay city of San Francisco is rife with history, culture, and views that set it apart. 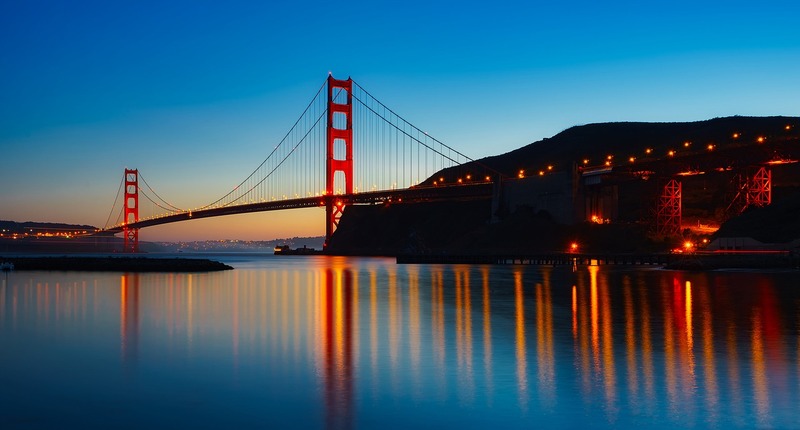 From the elegant and pragmatic grace of the San Francisco Bay to the innovative and iconic construction of the Golden Gate Bridge, San Francisco is a city of landmarks. Visit the sights, the scenery, taste the food from the many cultural neighborhoods and taste the history around every corner in the city that has everything to offer. Earning its start during the Gold Rush of 1849, San Francisco popped up almost overnight in a booming rush, quickly becoming one of the largest populations in the west. The devastating earthquake of 1906 rocked the city to its core, destroying hundreds of homes and businesses, forcing many to start over. Luckily, the city was able to recover and many of the sites we enjoy today were part of that restoration effort such as Fisherman’s Wharf. Alcatraz Island, once a lighthouse and later a federal penitentiary, is famous for the abandoned prison now managed by the National Parks Service and open for tours. Hop on a ferry at Fisherman’s Wharf and tour the island, night and day, to learn about the history, the escape attempts, and more. Chinatown is San Francisco’s most popular tourist destination, drawing more people every year than the Golden Gate Bridge. Enter through the Dragon Gate and tour the historic alleys such as Waverly Place, featured in Amy Tan’s novel The Joy Luck Club or observe a dragon parade to learn about traditional Chinese customs. While in the Bay City, other landmarks popular for their photogenic qualities include Coit Tower, Lombard Street with its crooked stretch and hairpin turns past beautiful gardens, the famed Golden Gate Bridge, and the Aquarium of the Bay, located at Fisherman’s Wharf, with an extensive exhibit where you can touch small sharks and juvenile bat rays.